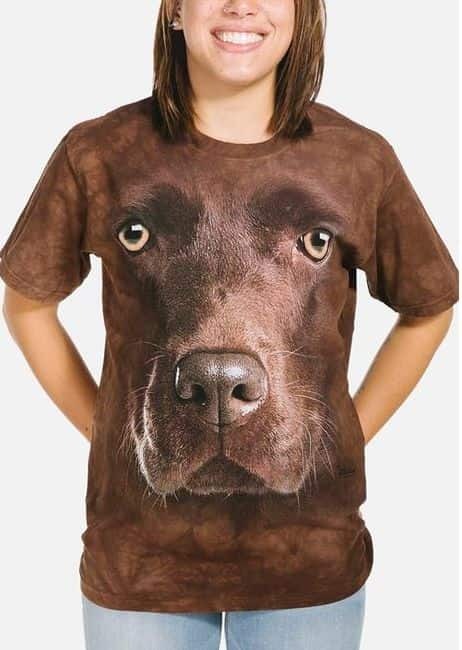 Big Face Newfie is a screen printed dog t-shirt. Newfoundland dog lovers will love the expressive eyes and realistic face. Just imagine getting licked and slobbered on by that big pink tongue! Did you know? Newfoundland dogs excel at water rescue because of their muscular build, thick double coat, webbed feet, and innate swimming abilities.